Many, many years ago I was an avid reader of Nintendo Power. I had already developed a taste for RPGs, although they were a bit less numerous back then. A bunch of them were bad — and often, even Nintendo Power was willing to admit that. Regardless, I would read each article about an RPG with fascination. 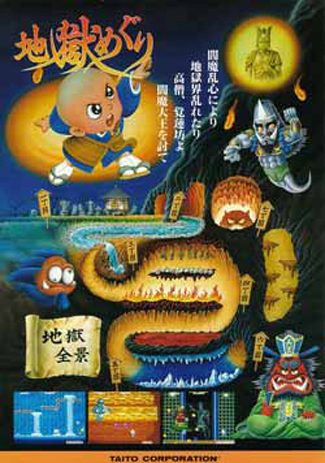 When it was a game I knew, I would enjoy flipping through the various artwork and reading about the tricky parts. Otherwise, I’d quietly file it away in a hidden corner of my mind, to play later. I’m finally working my way through the last few of those games I filed away — recently Paladin’s Quest and 7th Saga, and a year or so back I played through a good chunk of Arcana. All of these games I tracked down, purchased, and (with the exception of 7th Saga, which is too tedious) played on real hardware. The only one left is Lagoon. I actually played most of the good RPGs of the time when I was a kid. Paladin’s Quest is the only one of the set I’d play again. Somehow, I still manage to enjoy even the bad RPGs. The vast majority of RPGs at least have some optimization axis or story, and either one gets me. Even bad RPGs are still pretty expensive by comparison (all of these were around $20ish). This leads me to my latest game: Great Greed, a game released on the Game Boy in 1992. As soon as I heard the name, I remembered reading about it in Nintendo Power and thinking that the description sounded really cool, and the artwork was kind of neat. The context in which I heard the long-forgotten name was incredibly bizarre: a NeoGAF post about how the game asks you to pick your marriage partner at the end. It turns out that the game allows you to marry another guy, an 11-year-old, and even the king or queen. Now that my nostalgia was back in action, I decided to order the game and play through it on my Super Game Boy. And, sadly… it’s the worst of the lot thus far. It’s not like the game doesn’t sound entertaining. By the one-hour mark, I was doing a break-in on an abandoned record factory to get an old washed-up singer’s debut album. Some professor specializing in genealogy named the album as his price to investigate the family tree of the Crab family, so that princess Cup Cake and I could prove that the mysterious politician “Crabby” was actually a fraud working for the evil Bio-Haz. If I heard that description, I would think “wow, that game sounds incredibly wacky.” And in a way, it is. The next section had me infiltrating Oasis Castle so that I could reclaim it for the Kimchi Tribe, who would in turn give me Golden Pepper to defeat the dragon guarding a prison where Dr. Bromide was being held. I needed to talk to Dr. Bromide because… actually, the game didn’t tell me why. Or, more accurately, Cup Cake didn’t tell me why. You see, even at its very wackiest, Great Greed suffers from a complete lack of explanation. 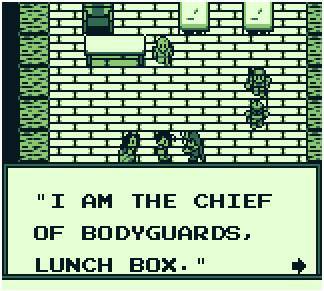 Maybe it’s intentional parody of the RPGs of its time, which seems accurate enough. It would be in good company there, since Earthbound happens to be a perfectly good game in its own right. But where Great Greed fails is in the execution. While Earthbound builds an interesting, fast-paced battle system and has interesting dialogue, Great Greed has neither. Its battle system is quick, but it only has one party member. Assistants (like Cup Cake, Lolly Pop, Candy, and so on) have a special effect that triggers at random, but it’s never enough to make things interesting. When the grind is factored in, one realizes that the game likely takes about twice as long as it could if it threw balance to the wind and let the player enjoy the silly parody. Technically, though, the game is actually a little bit impressive. It allows saving anywhere (like the Final Fantasy Legend games), but more importantly it actually has an auto-save function. In 1992! It saved me about 25 minutes when I forgot to save just before a boss battle. Story-wise, it’s incredibly obvious what the story is about — the main character is an environmental researcher of some kind, summoned to an alternate world where everything is named after food, and the evil Bio-Haz is trying to pollute the normally prosperous land. Some of the towns do have bizarre themes, but they always tie back to the quest. For example, one town has a set of laws you can spend money to re-randomize (i.e. Don’t Talk to Soldiers, Don’t Enter the Armory). I didn’t actually get thrown in jail, but I assume it wouldn’t have done much. Once you reach the prison, you find out all the prisoners were gathered to do forced labor mining pollution-causing rocks. If it were not quite so grindy, Great Greed would be a fun little game and I would finish it for certain. Perhaps for an RPG on the Game Boy — where most of the competition was the various inaccurately-localized Final Fantasy games, it wasn’t bad at all. Since it is, though, the most interesting part of the game is the section from the aforementioned forum post — which I am unlikely to reach. Sometimes, even I have to admit defeat so that I can play something more enjoyable.